Public spending on education was 7.3 per cent of GDP in 2010. Pre-primary education is compulsory for all the children from the age of four years and eight months. The state provides education and training for children with special needs from the age of three. The Ministry’s policy is to include children with special needs in mainstream schools, but there are seven special schools for children with severe or multiple difficulties, one school for the blind and one for the deaf. There are nine years of compulsory education starting at the age of six. Primary school comprises six years and secondary six, with two cycles each of three years. There are many private schools. Some 95 per cent of pupils complete primary school (2007). The school year starts in September. 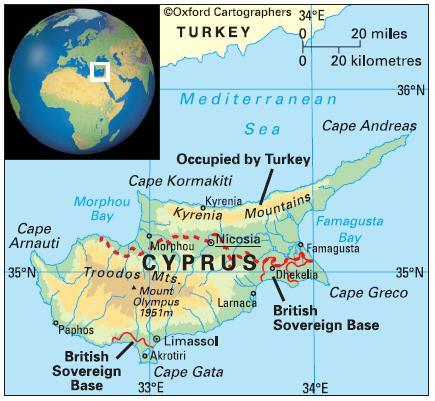 The University of Cyprus is a bilingual (Greek and Turkish) university which opened in 1992. The other public universities are Cyprus niversity of Technology (2007) and Open University of Cyprus (2002). Private universities include the European University Cyprus (2007), which developed out of Cyprus College (1961); Frederick University (2007), which developed out of the Frederick Institute of Technology (1965); Neapolis University (Paphos, 2010); and University of Nicosia (2007), which developed out of Intercollege (1980). Other tertiary institutions include Cyprus Forestry College (1951); Higher Hotel Institute of Cyprus (1966); Higher Technical Institute (1968); Mediterranean Institute of Management (1976, postgraduate); Nursing School; and Cyprus International Institute of Management (1990). The female-male ratio for gross enrolment in tertiary education is 1.2:1 (2012). There is virtually no illiteracy among people aged 15-24.